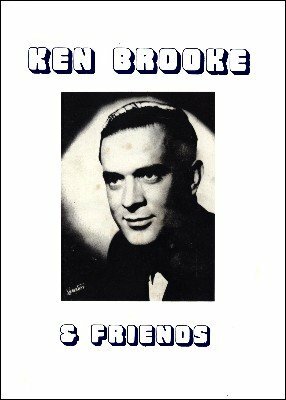 This ebook is filled with classic routines and effects performed by Ken Brooke. He was a rare magician, born with a wonderful sense of humour, good looking, with the 'gift of the gab' tinged with a Yorkshire accent that was his trademark. A quick mind, which could retain much information and a sharp and ready wit enabled him to climb up the magical ladder in leaps and bounds. Of course many would say that Ken was blunt to the point of rudeness, pig-headed, short-tempered and a very difficult man to get on with. They would be right! He almost certainly did have all those faults, but he was also a kind and generous man who jealously guarded and protected his friends and those he cared for. If I was asked to use just two words to describe Ken it would be 'DEDICATION' and 'RESPECT'. He dedicated most of his life to the art of magic - for, it should be said, very little reward in financial terms. The hours spent labouring over a move to iron out the snags, the days spent making fake cards and special packs …. was it really worth it? Ken's answer would have been a resounding 'Yes'. But his Bank Manager and Doctor would almost certainly say 'No'. He earned the respect of magicians throughout the world by his honesty and ability and by not being afraid to speak his mind. 1st edition 1986, 1st digital edition 2013, 318 pages.